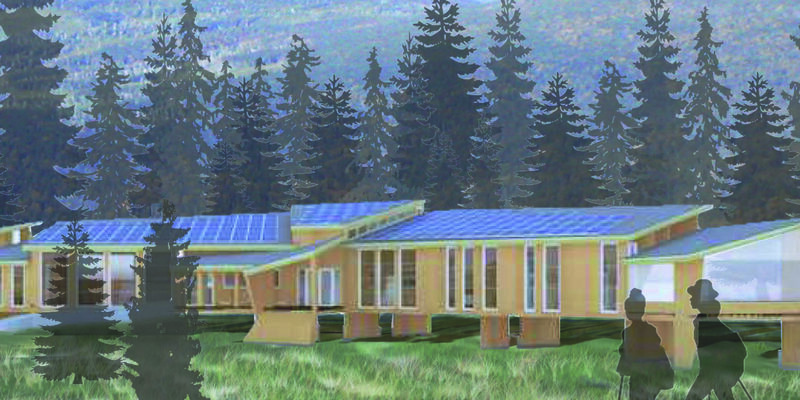 The Montague Urban Homestead, winner of the Mass Zero Net Energy Challenge, is a one-story single-family dwelling, located on a small, sunny, approximately 0.25 acre suburban plot (originally mentioned on this blog here). Currently a rental property, we took into consideration the desires of the owner of the property, as well as the current tenants. The tenants were interested in planting beds for food and medicine, privacy from the neighbors, and an outdoor space for gathering. The owner of the property was interested in having a landscape that complemented the Net Zero abode, a regenerative landscape able to feed two tenants during the months of June to September (the owner wanted lots of berries in particular). The owner also brings tour groups through the house on a semi-regular basis, and is excited to be able to include the surrounding landscape in the tour. 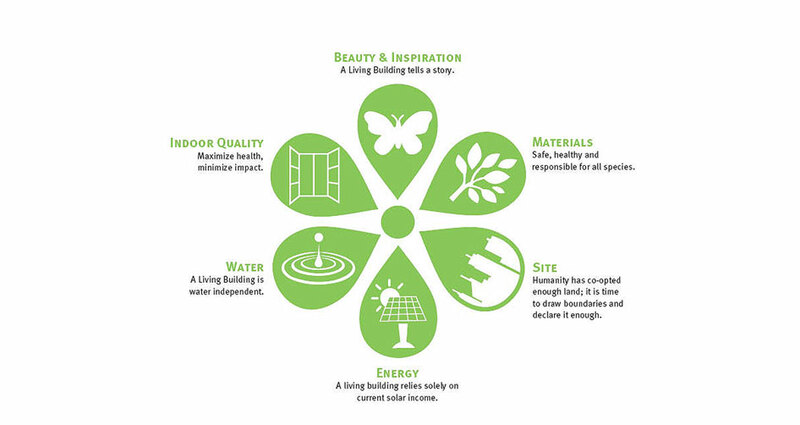 We looked into framing the design around the requirements of the Living Building Challenge (LBC) as well, analyzing the current site and what improvements, both in the landscape and in the home, would need to happen to meet the Challenge requirements. The house already being Net Zero Certified made certain portions of the challenge easier to fulfill, and the clients’ interest in food production and water reuse was helpful. We got hung up on some of the wastewater reuse requirements, realizing the difficulty in establishing both grey and blackwater systems on a small property in a dense suburban neighborhood. Rainwater catchment from the small roofs of the home and shed would provide water for irrigation and a few household activities, but would likely not suffice for two tenants’ year round water needs. These were the only major roadblocks within the LBC framework though, and I feel confident that with enough documentation the property would be able to fulfill the majority of the Challenge’s imperatives. 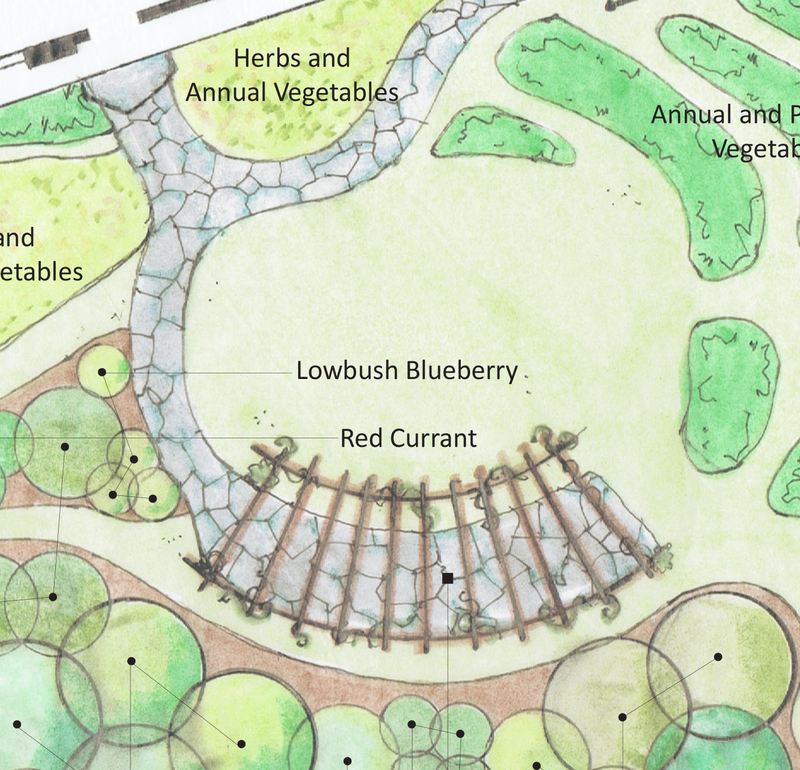 Keeping the site, the client’s goals, and the LBC imperatives in mind, we put together a landscape design. 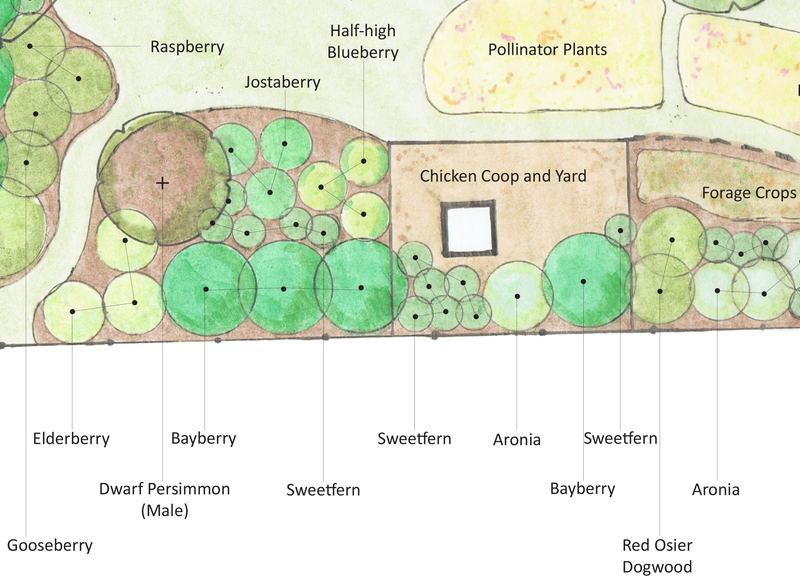 The final design maximized the use and productivity of the property by designating areas for food production, pollinators, wildlife habitat, and people. Public, semi-public, and private spaces were scattered throughout the property, catering to both residents and guests. This diverse assemblage of spaces unites in the front yard with a small gathering lawn surrounded by a grape-covered arbor, vegetable beds, herb beds and several fruiting shrubs. The property can now showcase to tour groups food production, water harvesting, soil building, pollinator attraction, and urban privacy screening strategies, while residents can enjoy the newfound privacy, beauty, and delicious food this verdant landscape offers. As a landscape architecture student, this project was a great opportunity to study in-depth some of the plants, both common and unusual, we can propose for residential landscapes. Studio courses often run so fast that students might not see their designs through to planting plan completion. 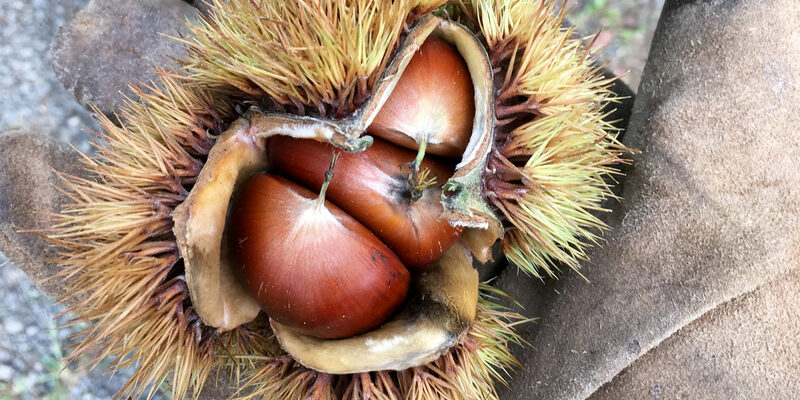 In particular, I enjoyed researching the wide variety of edible plants suitable to this climate, many of which are native and easier to maintain (like paw paws and persimmons) than some of the more common choices for edible landscape plants (like apples and peaches). This project was also a great opportunity to take a closer look at the biological systems we create in the landscape, and how plants, water, and animals can interact as part of an ecosystem on a small, intimate scale. This design forced me consider the seasonal rotations of all landscape users, specifically thinking about who used what plants (Humans? Chickens? Pollinators?) and what time of year certain plants were being used. And finally, it was refreshing to work with clients who were so excited about the idea of an edible landscape. I’ve heard phrases from property owners similar to, ”can this peach tree be removed? The fruit falls and rots.” Both the owner of this property and her tenants are willing to put the effort in to maintain and harvest crops, which allows for a wider group of plants to choose from and greater creativity in the landscape design process. It was a pleasure working with them and the RDG team on this exciting project. Samantha is an intern at RDG this summer. She is entering her third year in the Landscape Architecture Masters program at UMass Amherst this fall.